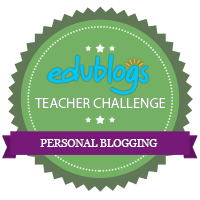 This entry was posted in Technology, Web 2.0 Tools. Blendspace is awesome. Thanks I remember that PD and I think many colleagues would have benefited from the presentation. It’s great that you’re thinking of ways to monitor reluctant learners rather than banning the technology. I understand your frustration. I have felt exactly the same way on many occasions in the LRC with tools that we are trying to promote. It is so hard to get everyone on board but sometimes it’s worth persevering and using the tools differently or building in accountability in different ways rather than dismissing immediately.